Here’s a bit of a disclaimer: This post will be more into the technical side of writing, and by technical, I mean I’ll be touching on the mechanics of different fantasy stories’ magic systems. I had a riveting conversation recently with some of my friends while watching Harry Potter and the Half Blood Prince. Most of the conversation pertained almost entirely to the world of Harry Potter, but we eventually touched on what made a magic system a true “magic” system. I’d like to expound on my thoughts following that conversation. 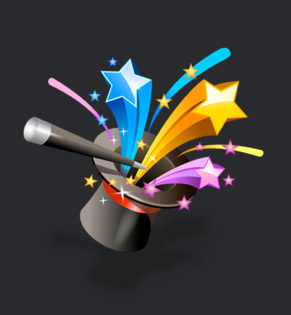 Well, I subscribe to the belief that, within fantasy stories–be them novels, video games, films, or television–most of what we call “magic systems” don’t actually deal with magic at all. As of right now, I organize different stories’ “magic” systems into three categories: a Pure Magic System, a Nature System, and a Pure Science System. I sort different stories’ systems by how much their characters understand their “magic”, and by how readily available the “magic” is to the general populace of the world within the story. Let’s start with a Pure Magic System. In other words, “magic” is inherently supernatural and can’t be explained with the characters’ understanding or thinking. For a Pure Magic System to exist, the magic in question must be inherently beyond the realm of character understanding and only be available to a select few with the aptitude to access the realm of the magical power. Examples of a Pure Magic System (in my opinion) include A Song of Ice and Fire by George R.R. Martin, The Harry Potter series by J.K. Rowling, The Legend of Zelda. The next level on this spectrum is a Nature System. This one’s a bit more complicated because it’s dead-center on the spectrum of Magic-to-Science, and it’s here where the line between magic and science begins to blur. How does the line blur? As characters delve into their world and begin understanding how it works, magic ceases to be supernatural and beyond the realm of comprehension, and thus ceases to be magic. What keeps this system from joining the realm of pure science? Like the realm of pure magic, the Nature System carries a semblance of exclusivity in terms of who can access the power the system contains. While characters within a nature system’s universe may know a great deal about how their system works, only those born with a certain aptitude toward accessing it can use it, much like pure magic. Would you like a couple of examples? Brandon Sanderson thrives in this area with his Mistborn Series and Stormlight Archive. Finally, I’ll touch on a Pure Science System. Given the definitions of the two previous systems, one of pure science seems pretty straightforward. The characters within the world have a deep understanding of how their “magic” works, can actively pursue more knowledge of how it works, and that system is available to anyone and everyone who seeks to understand it. Though, like real-world science, some minds won’t take to a Pure Science System as quickly as others, but the point is that, given enough time, dedication, and study, everyone can access the “magic”. If you wanted some examples of a Pure Science System, look for The Kingkiller Chronicle by Patrick Rothfuss, The Inheritance Cycle by Christiopher Paolini, or Skyrim. In short, magic is only magic if it’s beyond the natural order of the world in which it operates.